Prepared for event and new year 2015. A U.S. District Court Judge William Alsop has dismissed the class action lawsuit filed against Apple over wages lost due to bag searches at retail stores. The original suit claimed that Apple’s anti-theft policy and bag search policies at retail stores can cause employees to wait 15 minutes every time they clock out to leave for a lunch break or at the end of a shift — resulting in over $1,500 of unpaid wages each year per employee. A similar case involving Amazon hit the Supreme Court earlier this year and the court sided with Amazon, claiming that bag searches were not “integral and indispensable” to their jobs; therefore, Amazon was not responsible for paying employees for time spent standing in security lines. Judge William Alsop based his ruling on the Supreme court case and ultimately dismissed two class action lawsuits facing Apple. Do you think employees should be paid for waiting in line as they are screened for stolen merchandise? 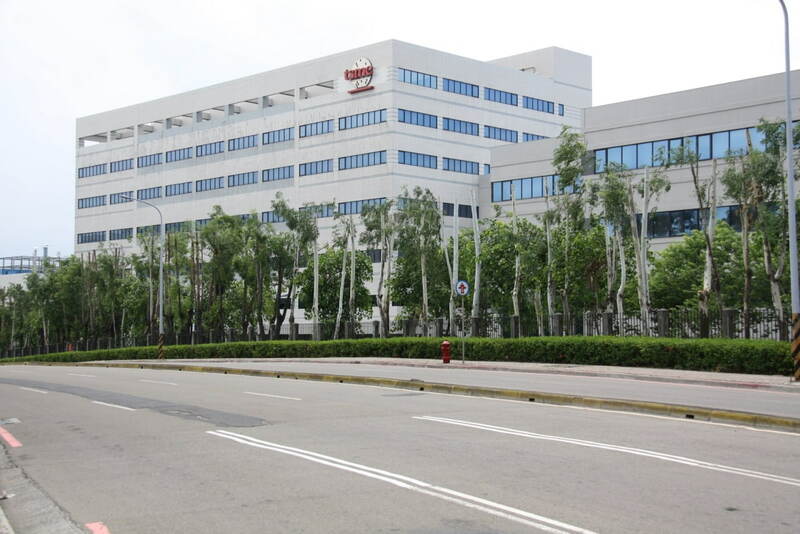 TSMC to Remain Key Apple Supplier for A9 Chip Production? Previous reports indicated that Apple would be relying more on Samsung for production of next-generation A9 chips; however, a new report from Taipei Times (via MacRumors) claims that Taiwan Semiconductor Manufacturing Company (TSMC), not Samsung, will be Apple’s primary A9 chip supplier. Current A8 chip production is shared between Samsung and TSMC, with a majority (70%) of production sourced from TSMC. Despite previous reports that Apple would shift production to Samsung for next-generation chips, Apple may still give a majority of A9 chip orders to TSMC because of its better yields. “The two companies’ technological capabilities are similar, so the key factor will be whose mass-production yield is better,” said MIC director Chris Hung. Back in July it was first reported that Samsung has landed the orders for Apple’s 14nm A9 Processor. A report in October reiterated that Samsung would be using a FinFet process that uses 35% less electricity, has 20% more processing power, and uses 15% less space than 20-nm chips. Just a few weeks ago, another reportclaimed that Samsung had begun early production for Apple’s A9 processors. While one company may win a majority of the orders, Apple likes to spread its orders across multiple suppliers in an effort to cut down on risk. Apple’s A9 chips will likely find its way into next-generation iOS devices like the iPhone and iPad in 2015. Check out this video stress test of the iPhone 6 Plus being buried in snow overnight. Youtuber TechRax buried his smartphone on Christmas Eve and returned on Christmas Day to see if the device was still functional. Those who live in a snowy climate will be please to find out that the device was still working the next day. The average aggregate daily download volume of the top 200 free iOS apps exceeded 8 million downloads for the first time in history, reaching 8.1 million in November, reports Fiksu. The surge in downloads represents a 42% increase year-over-year. 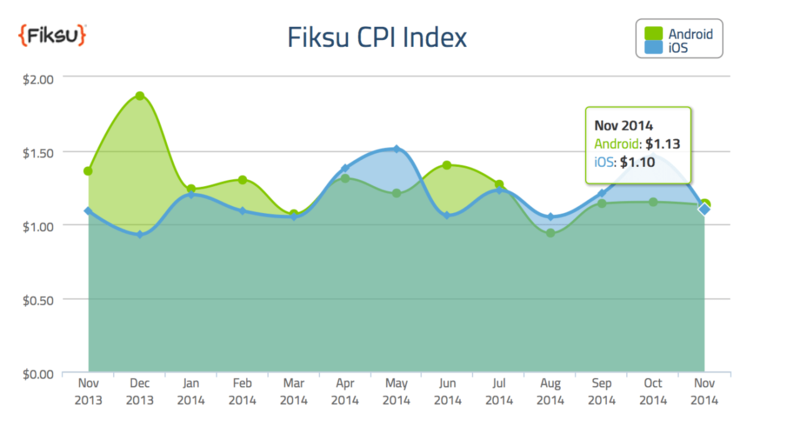 Due to new devices and an increase in organic downloads, Fiksu says the Cost Per Loyal User Index (CPLU) declined 27 percent to $1.58 in November, a 12 percent decrease year-over-year. Notably, time in-app increased by 21% and frequency of opening apps increased to 11.5 times per month, up from 9.4 a year ago. Fisku also notes that acquisition cost changes were relatively minimal from October to November. On iOS, the Cost per Launch (CPL) Index, which tracks the costs of driving engagement from mobile users, decreased to $0.21, down 20 percent since October and up two percent year-over-year, while CPI decreased 25 percent to $1.10 in November, up one percent year-over-year. However, competition is expected to intensify in December and January. Underscoring this trend are analyst reports indicating Apple iPhone device shipments in Q4 2014 are expected to reach 71.5 million. Marketers should be strategizing and preparing to get their apps more aggressively in front of users over the next few months. Check out the charts below or hit the link for more analysis. Amazon is discounting select SanDisk Memory Products by up to 73% off today. The memory is Amazon’s Gold Box Deal of the Day. If you’re looking for USB flash drives, SD cards, or MicroSD cards, you may want to have a look.